Many musicians danced down the razor’s edge towards enlightenment, renouncing drugs for a safer, more permanent and much higher high. Many among us gathered up our ideals in our old knapsacks and followed. New religions emerged: a church was dedicated to John Coltrane and Bob Marley became a venerated figurehead of Rastafarianism. Also, many renounced traditional religions as being stale and corrupt, and sought spiritual practices outside of religion. It was through the songs and statements of these artists that I became aware that higher states of consciousness existed that you could reach without drugs. The Beats had led the way. Jack Kerouac was one of the first Westerners to embrace Buddhism. Beat Poet Gary Snyder became a serious student of Zen, and spent a year in the Daitoku Monastery in Japan. Allen Ginsberg traveled to India and came back meditating, and chanting mystical mantras and songs. I read their transformational poetry avidly. I enjoyed reading books by seekers and teachers. My first exposure was through The Story of My Experiment with Truth by Mohandas Gandhi, in which he spoke of his belief in an absolute, universal level of truth. That set my wheels turning. I read The Autobiography of a Yogi by Paramahansa Yogananda, a popular book that chronicled the life of an Indian man who became a spiritual leader teaching Kriya Yoga. I became fascinated by Tibetan Buddhism, reading books by Westerners who went to Tibet and adopted the teachings, The Way of the White Clouds by Lama Anagarika Govinda and Magic and Mystery in Tibet by Alexandra David-Neel. However, all these books all spoke of a tantalizing experience of higher states of consciousness without telling me how to get from here to there. It was frustrating. Ancient religions were being revived in new forms. When I was sixteen, I attended a wedding in Golden Gate Park presided over by Rabi Schlomo Carlebach, “The Singing Rabbi.” He was leading a Hassidic movement in San Francisco that promoted joy and ecstatic singing. Eventually he would become a national phenomenon. The wedding was covered in Life Magazine. The Rabbi performed alongside a guitar-wielding partner who accompanied him in song. Before the ceremony, the Rabbi walked through the crowd of attendees, greeting everyone. He came up to me and looked into my eyes and said, “Why do you look so sad?” I was insulted that he would think that I looked unhappy and replied petulantly, “I’m not sad!” He backed off. Richie Havens explained the progression of his spirituality. “I was raised Methodist by my grandmother and I had to go to church until I was fourteen, not that I didn’t want to go, because I found some great information about the conduct of human beings. To me, my grandmother was Jesus Christ. She was born on Christmas day. She had all these things I heard about being a good person. My spirituality began there. “ I visited all the churches that my friends went to, and I found no difference. Catholic, Jewish, Protestant—I went to them all. In fact, they were using the same book. My search was to get involved with the original template. Spiritually I ended up with all of the books because they were all about being a good human being. I studied Hindu and Chinese religions and Zen. I did a comparative study and found them all to be pointing in the same direction. “In singing the songs, people who feel the song would get something from it, and people who didn’t feel the song would get nothing from it. It mattered more that the song was sung, then people had a choice. It’s more about my own personal expression and my own personal ability to make a difference. “I have a grandson who is half-Tibetan. He was born in Woodstock—the mountaintop is a Tibetan monastery. My daughter cooked for the monks for fifteen years. She said, ‘I have babysitters. I don’t have to ask!’ I was involved before that with the Tibetan situation. I did concerts to raise funds to free Tibet. I got to sing for the Dalai Lama two or three times. In Washington, D.C., Lawyers for Tibet had a big concert in a church. Included were Richard Gere, Odetta and Tibetan singers. Congressmen showed up. It was the first time there was deeper contact with the U.S. government about the problems in Tibet. I got up and sang. When Peter Townshend of the Who embraced Meher Baba, many kids at Berkeley High School followed. I earnestly contemplated Meher Baba’s motto, “Don’t worry, be happy,” which was emblazoned on cards his devotees carried in their wallets. Devotion to a guru, an enlightened Master, someone who could guide you to complete self-knowledge, seemed to be a big part of the experience. Such devotion between teacher and student seemed to be a kind of pure love about which I hadn’t a clue. Carlos Santana followed the teachings of Shri Chinmoy after learning about him from guitarist John McLaughlin. He changed his name to Devadip. He recorded albums of devotional music with McLaughlin and Alice Coltrane. “Hare Krishnas,” who followed Prabhupada, wore orange saris and robes, danced and sang the Hare Krishna mantra on street corners and sold insence on the street to passersby. They lived in special facilities, practiced celibacy and gave away free vegetarian Indian food in the Haight-Ashbury once a week. It was an all-encompassing lifestyle. There was a spiritual theater group, the Floating Lotus Magic Opera Company, designing performances to foster spiritual development. Doug Green told me, “I traveled around the world to look at communal living forms, both secular and religious, such as ashrams and kibbutzes. I went to a rehearsal of the Floating Lotus Magic Opera Company and fell in love with the family. We had rehearsal space at Williams College in Berkeley. It was a communal family. We created dramas based upon the ancient Indian scriptures, the Vedas. We were dealing with enlightening subjects, such as the forces of good vs evil. The performances were given for free. We had an orchestra, including the innards of a grand piano that were played like a harp. It was such a fertile ground for creativity. Rehearsals were visited by poets such as Lawrence Ferlinghetti, Allen Ginsberg and Michael McClure, who would give suggestions. After they’d leave rehearsals, we’d look under doormat for an envelope to find a $100 bill they’d leave, and that would be our food for the week. Meanwhile, I continued to search without finding. I wondered what the mysterious phrase, Jai Guru Deva meant in the chorus of the Beatles’ “The Long and Winding Road.” I suspected that it had something to do with their involvement with TM. It turned out to mean “glory to the teacher,” and was sung to honor the teacher of Maharishi Mahesh Yogi, founder of the Transcendental Meditation movement. The Beatles took a break from their careers to journey to Maharishi’s ashram in the Himalayas. It was thrilling, inspiring, romantic. Just what kind of person would sully the hallowed hippie halls of Winterland with a parent? I wondered. I sat on the floor just beneath the stage in approximately the same spot where once I’d caught a joint hurled by Jim Morrison. Now I grabbed a carnation on the fly as Donovan flung handfuls of blooms into the audience at the end of the concert. Between the ages of sixteen and nineteen I tried Kundalini Yoga, Zazen (Zen meditation) and learned to read Tarot Cards from an elderly woman in the back room of her antique shop. I rook some meditation classes with Chogyam Trungpa, later the founder of the Naropa Institute in Colorado. And that was just for starters. They proved to be exercises in endless frustration, the experiences never quite living up to what Nirvana was supposed to be cracked up to be. True, I was young and restless and spiritually promiscuous. But those techniques were so difficult! Susan Goldstein, a friend since babyhood, started practicing TM when I was seventeen. She and the man she was living with pushed me to learn the meditation technique. They pushed and pushed. The more they pushed me the less I wanted to do it. However, after a year or so I had to admit that they were happy and their lives were fulfilling. I was still very unhappy and frustrated with my life. I went to an introductory lecture on TM with an attitude of arrogance and skepticism. The teachers looked like ordinary American mortals. They were not wearing robes, which was disappointing. I believed that spiritual people looked and acted a certain way. However, I decided to go ahead and take the plunge, based on witnessing my meditating friends’ happy lives. They had something that I wanted. The teacher who gave the introductory lecture said that it was very easy to do TM. He said that the mind had a natural tendency to wander and it always sought more happiness and growth. Trying to concentrate and banish thoughts was unnatural and not part of the practise. That was a great relief to hear. I had tried very hard to do techniques requiring concentration and clearing the mind of thoughts. I was never successful, and ended up fidgeting and feeling like a failure. A technique that didn’t require any effort, other than to take the time to do it, sounded great. In a short interview with a teacher before learning, I was told that I would have to refrain from drugs for fifteen days in order to have the best experience from the start. I was a confirmed pot smoker and that seemed like and awfully long time. I toughed it out, until after a week someone handed me a hash brownie and I unthinkingly ate it. I had to go to the TM Center and sheepishly postpone my instruction. Three weeks after I turned nineteen, on June 27, 1970, I learned Transcendental Meditation. Even as I was about to be instructed, l walked into the TM Center with an enormous amount of skepticism. I was sure that I wouldn’t last a month, as had been the case with all the other spiritual practices I had tried. However, one shot and I was hooked. It was easy as pie, and from the very first meditation it was everything I had been looking for. I had a deep epiphany about my life during that first meditation with my teacher. Everything became crystal clear to me about what I had been doing and how I had been treating people. My petty, negative thoughts and daily annoyances were meaningless in the face of such an awakening. I had swerved in life due to not having the knowledge of how to transcend, how to experience to the universality of existence and consciousness. As I continued to do a twenty-minute meditation twice a day, my life steadily improved. I became happier and found more meaning in my daily activities. I had dropped out of art school shortly before learning TM. Six months later I embarked on a full university education. I embraced the whole experience with a sense of newfound purpose. It turned out that I loved to read and study, and I did well in my classes. I made friends more easily. I was more relaxed and comfortable. Most importantly, I quit striving to conform to all the ways of behavior I thought I needed to take on in order to be hip and cool, and just acted like myself. I no longer tried to smash all my “boundaries” in order to be “free.” Such freedom felt more like enslavement to ideals and values that weren’t always my own. I no longer felt the world-weary cynicism about the world and about people who didn’t conform to my vision of who was cool. It was a newfound freedom to be myself, whether it conformed to hippie ideals and made me cool or not. Three years after learning TM, I decided that I had gotten so much out of the practice that I wanted to give back by teaching others how to meditate. I had a small inheritance that a family friend had given to me for my education. I applied for a teacher training course to be held in Spain, and was accepted. First, there was a preliminary course taught at the local TM Center. Then I worked for the organization for the summer and earned work-study credit, all the while learning more and more from books by Maharishi and from TM teachers who were happy to answer my barrage of questions. The credit covered a preliminary one-month course held at Humboldt State College in Northern California with Maharishi. I was immediately taken by his wisdom, his ability to explain complex concepts in simple terms and his gentle, infectious humor. I attended a teacher training course for six months on the southern coast of Spain, and another two months in Switzerland. The organization had rented hotels in beautiful places in the off-season, where we lived and studied. Much of the course was taught by Maharishi himself. There was a lot to learn in order to teach, and many tests to pass. We discussed our experiences in meditation at length with Maharishi, so that we could learn about how to handle and explain anything that could come up while teaching. I left the course completely inspired and energized, filled with knowledge that could help people have more fulfilling lives, and to know the true nature of their own selves through direct experience. I have been a teacher of TM since 1973. I have taught in many places in the U.S., and in the Philippines and Taiwan. 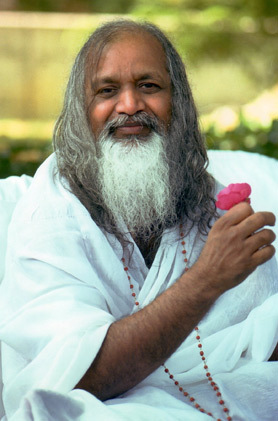 I worked on Maharishi’s staff in Switzerland for three years, and worked at a large facility near Delhi, India for a year. Everywhere, from teaching illiterate rice farmers to professors and executives to students, everyone’s experiences are similar. Wherever we are and whatever we do, we have the same concerns about our lives, our health, our friends and families, and about the state of our surroundings, be they a tiny village or the world village. Virtually everyone I taught benefitted from the practice, which has made for a fulfilling life for me. Thank you Beatles, Beach Boys, Doors, Loading Zone and Donovan, from the bottom of my heart, for helping to show me my path.